What Perfume Is Right for Me? Perfume and colognes are worn by men and women that allow them to feel more attractive and attract potential partners. These scents have the ability to change your mood, bring back old memories and boost your confidence while also making you smell fantastic. The cologne and perfume industry is a multi-billion dollar industry that offers hundreds of thousands different scents and brands. With so many to choose from, you might be wonder what perfume is right for you. Choosing the right scent isn't just about the one that smells the best, there are different ways you can determine which scent is the best fit for you. Keep reading to learn tricks for picking the best one. There is a lot more to perfume than the first initial smell. To find the perfect fragrance for you, there are different factors you want to understand and be aware of when you go out to purchase your perfume. Fresh - Fresh scent will often have a green note similar to that of freshly cut grass. These scents are often springy, citrus or airy. Those who are more of an outdoors person may enjoy fresh scents most. Floral - Floral scents are often the most popular and they can range from blooms to rose petals and even bouquets. These scents can have notes of various floral scents such as jasmine, orange blossom, rose, lily, and carnation. They can range from a powdery scent to a sweeter scent which will depend on the combination used. If you have a favorite flower, you might want to give a floral scent a try. Oriental - These scents tend to be bold and exotic. Often you will smell notes of vanilla or amber in oriental scents. These scents can be a bit heavier and are often more sensual scents, making them the perfect fragrance for the evening or romantic occasions. Woods - Wood scents tend to be masculine and have a richness to them. These scents have notes of moss, cedarwood, oak patchouli and other wood life aromas. Outdoorsy - If you love going camping and the smell of fresh air, then you are most likely an outdoorsy type. Outdoors women don't fuss with makeup often and want a perfume that isn't overpowering. What perfume is right for me if I am an outdoorsy type? You want a scent that compliments your outdoor personality. Scents that appeal to you may be more unisex with hints of fresh greenery or herbaceous. Elegant - The opposite of outdoorsy would be the elegant type. These women love getting dressed up and often attend black-tie events. They tend to want a more bold perfume that is rich and long-lasting. 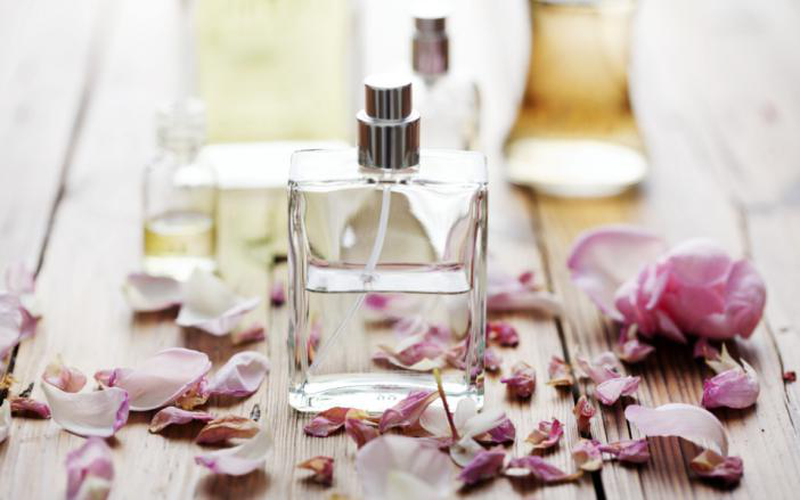 For these personality types, oriental fragrances are ideal because of their floral and woody scents. Girl-next-door - If you're a little shy and highly attractive, then you are probably the girl next door type. These women are the type you take home to mom and their fragrance preference is typically something fresh and clean. All American girl - You are athletic, attractive and playful. As an All-American personality, you tend to like fragrances that will capture everyone's attention but not overpower the senses. You might lean towards fresher or water scents with a light wood note. Sophisticated - If you are the person who is always up to date on the latest fashion trend and like things to fit perfectly, then you are probably the sophisticated personality. For these personality types, you like classic scents that are crisp with a touch of sweet flowers. The note of a fragrance consists of a base, top, and middle layer. These layers work together to create the overall scent. Base notes - These notes bring depth to the perfume. Along with the middle note, they tend to be the main scent of the fragrance and are much more noticeable about 30 minutes after the perfume has been applied. When you are trying to learn “what perfume is right for me”, you want to know which base note you enjoy more. Base notes tend to be rich; often musk or plant resins scents are often the most common base notes. Middle notes - Middle notes tend to mask the initial stronger scent of the base notes. These scents are more subdue and well rounded, usually noticeable about two minutes after the perfume has been applied or up to an hour afterward. The most common middle notes tend to be lavender or rose. Top notes - Top notes are the immediate scents you smell when you apply a perfume. These scents tend to be fresh, sharp and more assertive as they are what captures your initial attention. The most common top notes tend to be citrus or ginger which are strong scents that quickly evaporate. There are typically four levels of concentrate that perfume comes in and the higher the concentration, the higher the price tag. The first level is called perfume or parfum, which has the highest concentration. This fragrance will usually last the entire day with just one application. The next level, eau de parfum, will last up to about six hours with one application. The next level of concentrate is eau de toilette are the more affordable perfumes you can find in many retail stores. These fragrances will need multiple application throughout the day. The last level is eau de cologne, which is the cheapest but the scent will only last for up to two hours before having to be reapplied. While you may love the initial smell of a particular perfume, you want to hold off buying before you give it a test run. Before deciding what perfume is right for me, you should go through a simple process to determine if the perfume is actually right for you. When you first smell the perfume from the bottle, you get a general idea of how the perfume will smell but you really want to spray a little on your skin before you make your decision. The hormones and pheromones of your skin can actually alter the smell of the fragrance by either enhancing or diminishing the scents. Apply a small amount of the perfume on your wrist and then wait a few minutes to smell it. You should be able to determine whether the scent is too strong, soft or just doesn't match with your skin's chemistry. It is best to go to the store to try out different types of perfumes, but this isn't always an option. So below, we have found some tests for you. Try out these fragrance quizzes to learn more about the fragrance that will be a match for you before going to store.